Known as “The Salad Bowl of the World,” California’s Salinas Valley became a farming empire because of the labor of diverse farmworkers, including Latinos. For much of the twentieth century, however, union-busting and racial marginalization hindered U.S. farmworkers from battling their exploitation in the fields. 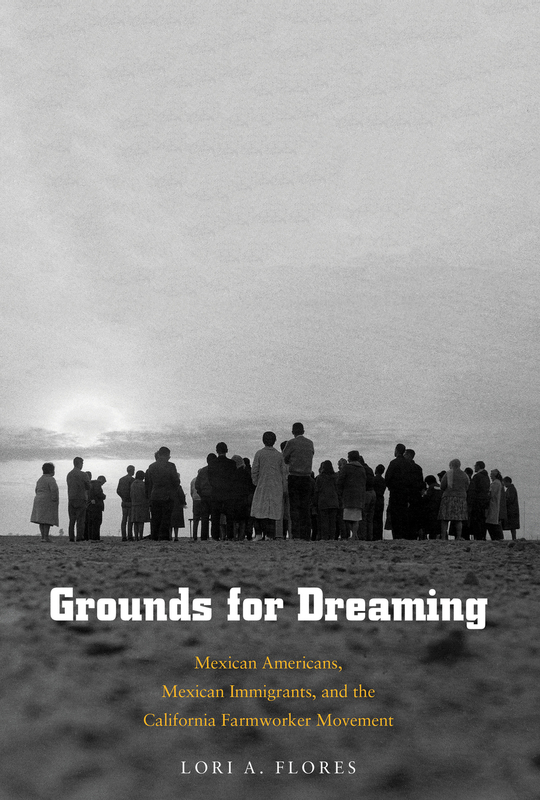 Grounds for Dreaming is a sweeping critical history of how Mexican communities in agricultural California fought for equality and respect in a hostile climate of labor repression and xenophobia. Long before the seminal strikes led by Cesar Chavez, farmworkers wrote to newspapers, wore zoot suits, formed civil rights organizations, exercised their vote, and filed landmark lawsuits against agribusiness. Along with examining these political acts, Lori Flores looks closely at how three different groups of Mexicans—U.S. born, bracero guestworker, and undocumented immigrant—confronted and interacted with one another during this period. Modern debates about workers’ rights, race relations, and immigration are nothing new and deeply rooted in the past. In this incisive study of how a California community took center stage at key moments in America’s labor and civil rights movements, Flores offers crucial insights about today’s ever growing U.S. Latino demographic, the ongoing campaign for farmworker justice, and future immigration policy. Grounds for Dreaming has been named BEST FIRST BOOK by the Immigration and Ethnic History Society, BEST HISTORY BOOK by the International Latino Book Awards, WINNER of the Historical Society of Southern California's Martin Ridge Award, and selected as an HONORABLE MENTION for the Gita Chaudhuri Book Prize and FINALIST for the Weber-Clements Book Prize. Listen to a podcast interview about the book by the New Books Network here.